Like any major winter storm, the nor’easter bringing snow, wind and ice to the region Tuesday into Wednesday needed a name. For this latest storm, The Weather Channel — the self-dubbed handler of picking storm names — went with Toby. That specific name, along with the timing of the nor’easter, turn out to be — *pauses for comedic effect* — the perfect storm. All that considered, the name Toby seems quite fitting. Toby, of course, is the name of the human resources character on "The Office" who manager Michael Scott loathes. 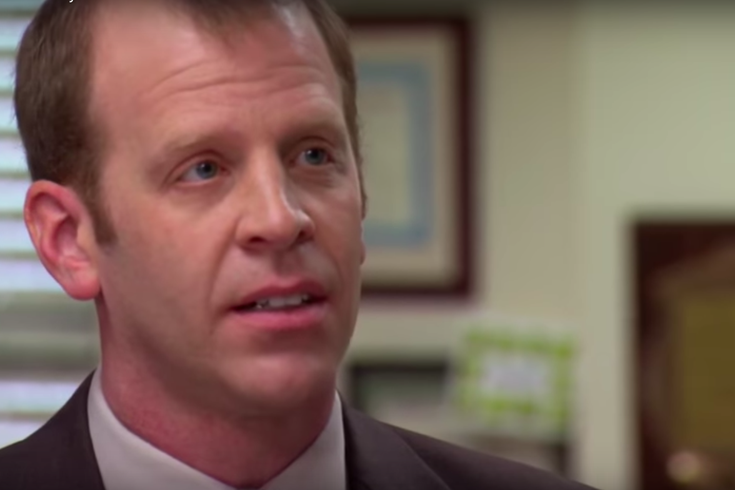 One of the defining recurring bits on the U.S. version of the show is Steve Carell's character belittling and berating Toby Flenderson, played by Paul Lieberstein, at their Scranton workplace. Michael hates Toby. We all hate this weather. The Internet, knowing what to do, took appropriate action.